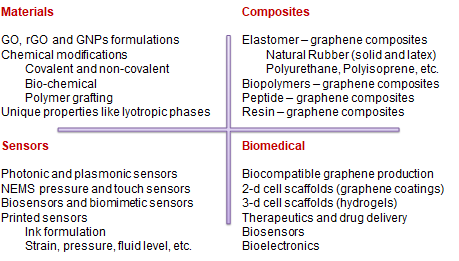 Mechanical and electronic properties of graphene-polymer heterostructure membrannes. Strained transfer for pre-tensioned suspended graphene membrannes. MEMS pressure sensor using graphene membrannes. MEMS touch interface using graphene membrannes. MEMS microphones using graphene membrannes. Readout circuit design and sensor packaging. Layer-controlled exfoliation of graphene from graphite - large-scale production of bi-layer and tri-layer graphene. Dielectrphoretic assembly of high-density arrays of individual graphene devices from solution in NMP. Devices characterized by SEM, AFM, Raman and electron transport measurements. As is the case with nanotubes, the assembly is self-limiting to one graphene flake per device. Graphene nano-ribbons are aligned in the desired direction between the electrodes during deposition. 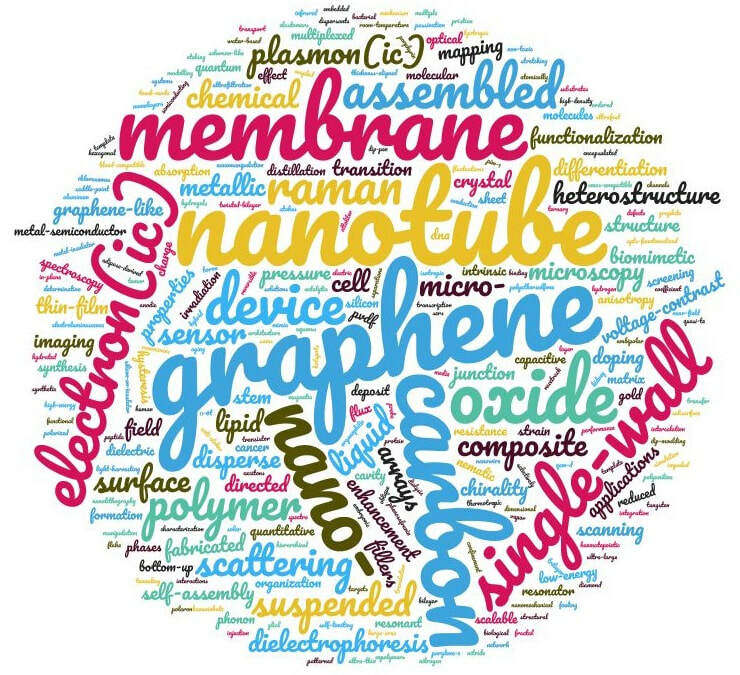 This work is directed at integrating and assembling single-wall carbon nanotubes (SWCNTs) into functional devices using a bottom-up method called Dielectrophoresis (DEP). 1. DEP is self-limiting to one SWCNT per device under certain conditions, but can also be used for making thin-films or ensembles of SWCNTs under other conditions. 2. DEP can selectively deposit metallic SWCNTs at high frequencies. 4. DEP can be combined with SWCNT sorting to make arrays of single-chirality or semiconducting SWCNT devices. VC-SEM is a new visual, parallel electronic characterization technique with nanoscale resolution. 1. Distinguishing metallic and semiconducting SWCNTs in device configuration using SEM. 2. Statistical analysis of large-scale arrays of SWCNT devices. 3. Locating and characterizing electronically-active defects in individual SWCNTs. 4. In-situ characterization of defect creation and annealing (defect engineering) (see next section).